Personal Injuries — Fratto Hopstock Chiropractic, Inc. 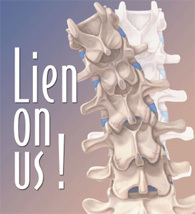 Injury evaluation on a lien basis. Most accidents have no out-of-pocket expense. If you choose to have an attorney, we can help you select one.